If you have never gone to Mexico on your bike, then you are missing out. There are a number of well attended rallies and charity events that are worth checking out. That said, some believe it is difficult to get good motorcycle insurance in Mexico. This is not the case with Mexpro. 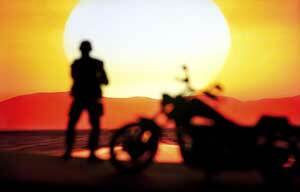 We have three strong programs from our insurers, where you can get great Motorcycle insurance. ABA includes comprehensive travel assistance coverage. EXCLUDED FOR DRIVERS and RIDERS. Clearly this is a problem, but a common one with Mexico Motorcycle insurance policies. That doesn't mean you have to go without coverage, an International Health Insurance policy is cheap and fills the gap and more! ABA has full coverage policies available for motorcycles that are 15-years old or newer. Liability policies are available for bikes that are much older. For more information about these programs take a look at our side-by-side Motorcycle coverage comparison.